Imagine that an apostle of the Counter-Revolution is received well in a certain place or social milieu. In fact, he is very well-received and the persons around him correspond in a good way to the graces he brings with him. It is normal to expect that this apostle will suffer from things that always follow one who works for the good cause. He may suffer either from physical sicknesses or temperamental problems. Or he may encounter problems in dealing with people, such as he lacks good sense when he talks, which causes bad moods, or he exaggerates the examples he chooses to explain his ideas, which produces skepticism, or he experiences other such problems present in any social relation. He should be vigilant in facing these problems and try to correct his part of the error, especially if it results from some moral defect or imperfection. But these problems are present in every apostolate and are always accompanied by pain and suffering of some kind. He must accept these inevitable pains as a voluntary holocaust to God. There is no true apostolate that is not adorned with some kind of suffering or pain. 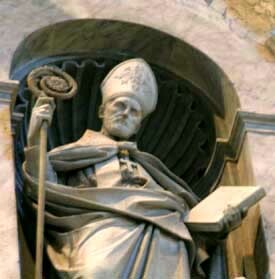 When the sorrow is accepted well by the apostle, we may call it the apostolate of pain. I consider this apostolate of pain as the most sublime and most holy of all forms of apostolate. Why is this so? The Catholic Church teaches us that the Passion of Our Lord Jesus Christ had an infinite merit. But, for these merits to open up and flow onto humanity, God desires that each man unite his own suffering, his own pain, his own passion to that of Our Lord Jesus Christ. It is the way Our Lord gave us to unite ourselves to Him in His Sacrifice of the Cross. Normally we don’t see progressivists speak about this need to unite our suffering to the suffering of Our Lord Jesus Christ because they hate the sublimity of the Catholic Church. Everything for them has to be cheerful and positive. The only exception is when they plunge into a sinister suffering with Protestant hues or a Buddhist tendency toward self-annihilation. In both aspects, their position rejects the sublime Catholic balance that is only found in the path of the Cross. It is through the Cross that we earn the graces for the great works of apostolate that will fill the Church with good fruits to glorify God. We know that without the infinite merit of Our Lord Jesus Christ, we could not attain any good thing. But Christ desires, for a reason that is sublime, that our sufferings should also carry some weight in bringing the graces He wants to give to this or that soul. If Our Lord Jesus Christ desires a great conversion or a profound renovation in the life of the Catholic Church, He desires that we immerse ourselves completely into suffering in union with Him. He wants us to allow ourselves to be consumed by this suffering like a fire consumes the burning wood. Thus, for a certain soul, a particular social group, a family, a family of souls, a cycle of civilization, Our Lord Jesus Christ desires that certain souls suffer. 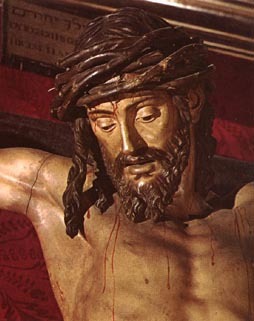 He gives them sufferings so they can unite their sufferings to His in the Passion. Through the generosity of these expiatory souls, all the merits of His Passion are applied to those particular souls or that cycle of civilization. Remember that the drop of water added to the wine in the chalice symbolizes our human suffering, which is irrelevant in face of the Divine suffering. Nonetheless, the water is offered together with the Divine offering to God. Our suffering expresses this reality. It is a drop, a drop of water, of common water - not of wine – but it is offered together with the wine, the suffering of Our Lord Jesus Christ. It is the drop of our suffering united to the infinite ocean of suffering of Our Lord Jesus Christ. It expresses the value of our miserable, insignificant merit when united to the infinite merit of Our Lord Jesus Christ. United to His merit, what we offer can become instrumental in the conversion of a soul or a family of souls, or even in the inauguration of a new historical era. It is beautiful to consider how a soul disposed to suffer in this way has an expiatory character, a spirit of disinterested love and holocaust. When we speak of an expiatory suffering, we don’t necessarily mean that the person must accept becoming a leper in order to spiritually help others. What we are usually called to do is to engage in the normal combats of daily life. The person with a counter-revolutionary spirit who makes this holocaust will face incomprehension, apostasies, persecutions and calumnies. Everything falls upon the apostle of the Counter-Revolution, and he has to face and fight against all those obstacles. At times, it will seem as if his house will collapse upon him and that God has abandoned him. What is happening? Among other things, he is suffering because God and Our Lady want him to suffer. Just as God and Our Lady desire him to pray and act, they desire him to suffer. And unless he is also willing to suffer, Our Lord Jesus Christ refuses to apply the infinite merits of His Passion for the conversion of that person, social group or historical era. What is the beauty of this fact? This need for suffering is placed by God in the whole order of Creation. God, having created intelligent beings with a free will, intentionally left a part of the beauty of the order of Creation to be completed by the beings that He created. Through the action of their intelligence and free will, these intelligent creatures can choose God and complete the pulchrum, the beauty of His creation. In nature there are things that are beautiful, but God allowed some of the most beautiful things that exist to be completed by man. Let me offer the simple example of silk. 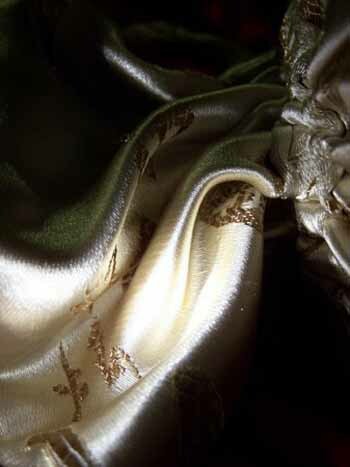 The threads of silk are made by the silk-worm, but it is man who weaves the fabric. Though his sense of the marvelous, with his soul turned toward the pulchrum of creation, man uses his talents to make something precious that complements God’s creation. There are thousands of things like this in creation. God made nature as a kind of ‘connect the dots’ page for children, for man to complete His creation in his innocence and fidelity to His plan. Man, understanding the verum, bonum and pulchrum [the truth, goodness and beauty] of God's creation, loves and perfects it. Doing so, man is raised to the position of continuing God’s general work of creation. Such participation constitutes a great honor for man. In this we see the importance and splendor of Christian Civilization, of Catholic culture, of creating God-like ambiences and customs. The created order was perfect, but was stained by man with original sin. Hence, Redemption became necessary. To that first mission man had of continuing God’s creation, a second was added, to continue God’s Redemption. Indeed, God desired that His Son, Our Lord Jesus Christ, should suffer and die on the Cross for our sins and in this way redeem us. It is natural that God, who wanted man to play a role in the perfection of His creation, also wanted man to play a role in the work of our Redemption. Therefore He desires that man should add a drop of suffering to His own. This is our part that completes the general plan of God. It is the general plan of God for Creation and Redemption. A person who begins a religious order or institution, for example, has the glory of being the founder of that work. But the starting point of this glory is the need to suffer for the whole of the work that he is founding. In order for the epopee, the work, the masterpiece to exist until the end of time, producing fruits for the constant glory of God, the founder must normally irrigate it with his blood. This person, then, suffers for the full realization of that project. In this way, those who suffer for the Counter-Revolution, for the Reign of Mary, are naturally called to offer a suffering proportional to the grandeur and glory of the plan to be realized. Since we are called to initiate a new era for the glory of God - the Reign of Mary - it is normal that we should suffer in proportion to the splendor it will achieve, which will be the greatest in History. Hence, we should be willing to accept suffering more than anyone else in History. How Should We Follow the Passion of the Catholic Church?